Horse poop! Not exactly the first thing I expected to see when the hands-off demo of Hideo Kojima's latest opus started. But sure enough, there it was, subverting my expectations much like the fabled developer is wont to do. This act certainly drew chuckles from those in attendance to the small theater, giving us a little brevity before out demonstrator got Snake to doing what he does best. 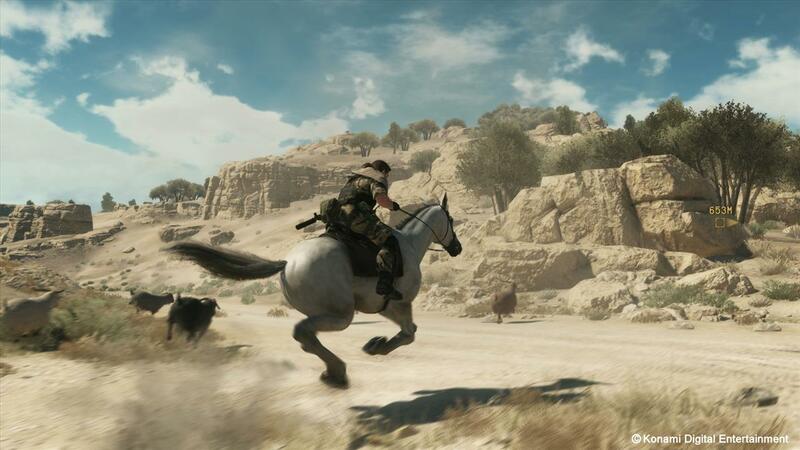 The actual opening to Metal Gear Solid 5: The Phantom Pain demo started with a briefing from Ocelot, riding alongside a curiously mute Snake on horseback, explaining that Kaz Miller, Snake's longtime ally, has been captured and intel is required to try to find and save him. After this short exposition from Ocelot, our demonstrator was cut loose, and showed off the game running on PS4 hardware, running at sixty frames per second, and at 1080p. The short trail gave way to a wide open valley that potentially held info regarding Miller's whereabouts. A quick glance at Snake's PDA device showed us a map and highlighted a nearby encampment where the much needed info could be found, and proceeded to make the trek toward a newly set waypoint that would give Snake a better view of the battlefield. Along the way on horseback, enemies can be avoided by hanging off to the side of the horse, giving the illusion of a wild mare. Whilst hiding, our demonstrator quickly took down some enemies that were doing a poor job of guarding a building with some tranquilizer darts, and showed off the Fulton system. It's back! 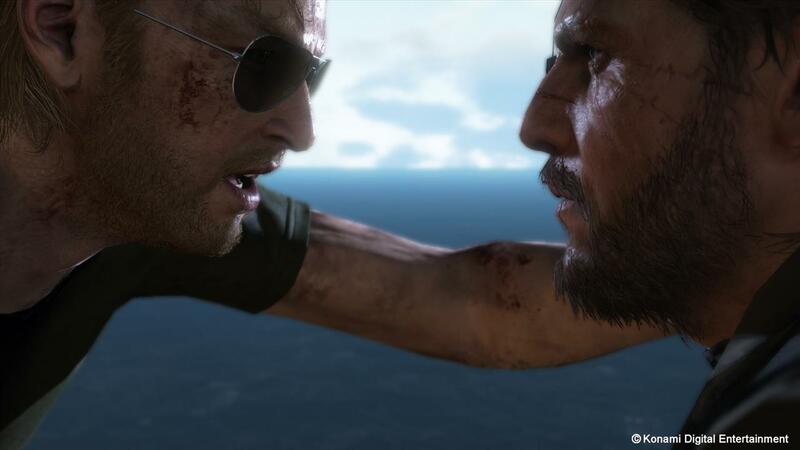 One of my favorite pieces of Metal Gear Solid: Peace Walker, the recruitment via Fulton system has been implemented in Metal Gear Solid 5, and has been greatly expanded. 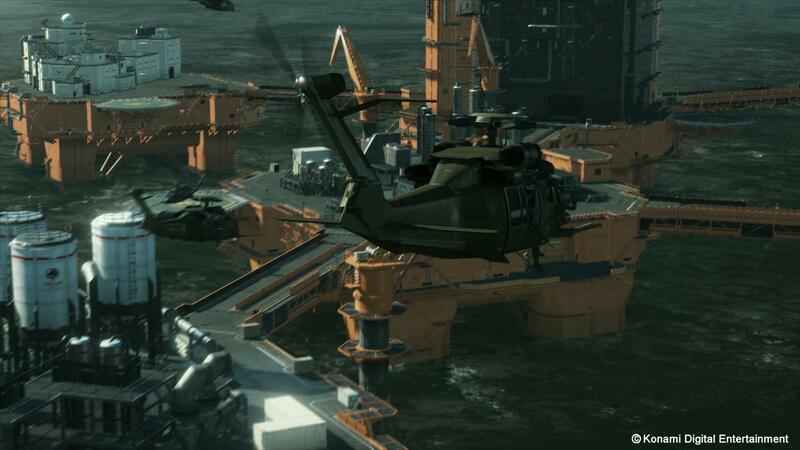 Over the course of the demo, vehicles, containers, people, even animals could be captured via the Fulton, and would be put to later use at Mother Base. 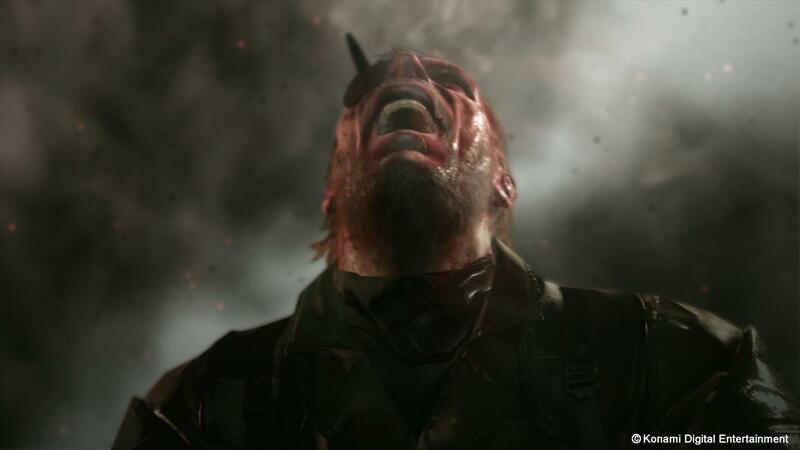 The demo showed off some of the new changes to CQC that were in Ground Zeroes, along with an improved knock mechanic, using the new mechanical arm, Snake is able to make noises with it to draw enemies away from their patrols. 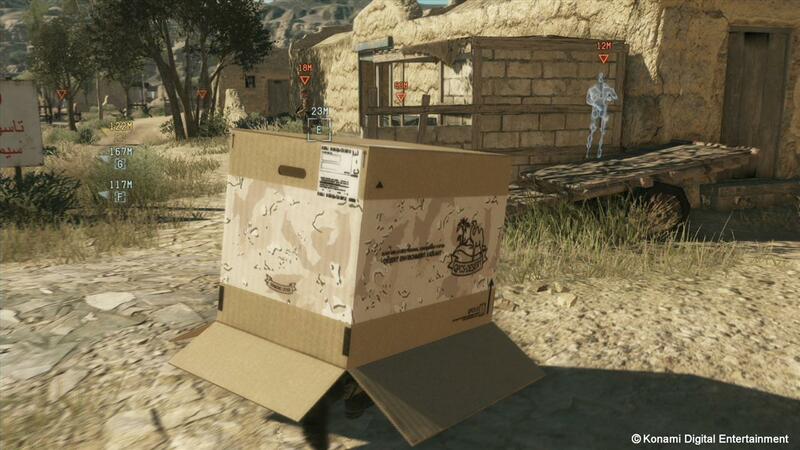 Snake also has a few new tricks with the iconic box, he can now pop up out of the top of it to shoot enemies, or he can jettison himself from it if spotted, giving him a chance to leave the box as a decoy for enemies. 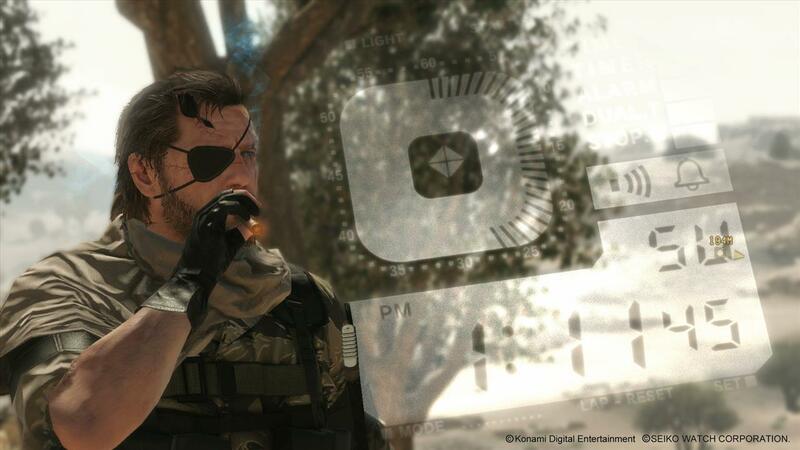 Upon finding a base that contained information on Miller's location, our demonstrator showed off the Phantom Cigar, an e-cig that can be used to pass the time. While using this item, time will progress at a much quicker rate, allowing you to plan your infiltration for nightfall, or when enemy presence is minimal. It is also possible now to tag enemies so that they can be seen through walls, which our demonstrator proceeded to do, since there were at least fifteen enemy combatants guarding this outpost. 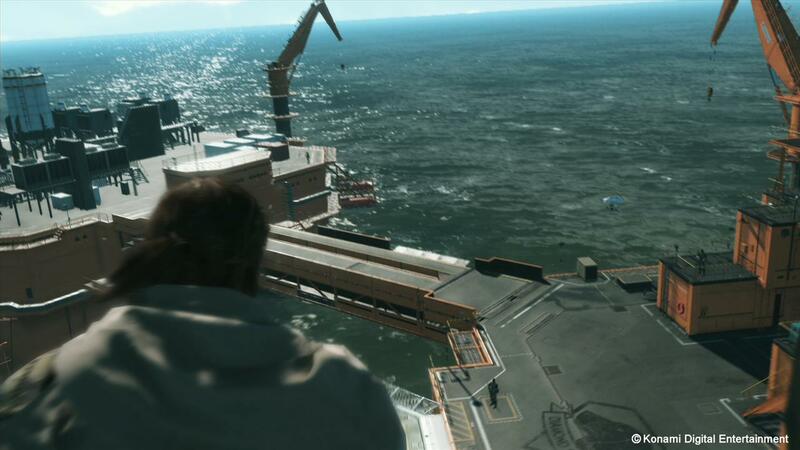 For those that he couldn't see, he called on Mother Base to provide some intel, which highlighted specific areas of the map where enemies could be found. 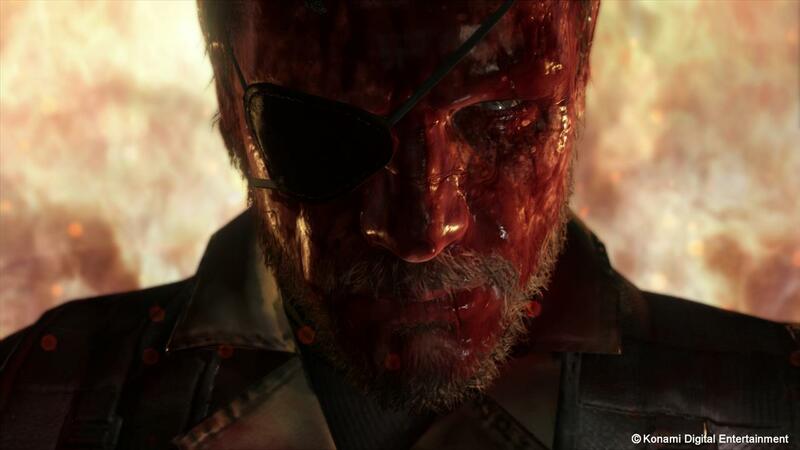 This showed that The Phantom Pain can be as precise as you want it to be when it comes to preparation, but if you choose to go rough and tumble, you have options to protect yourself. 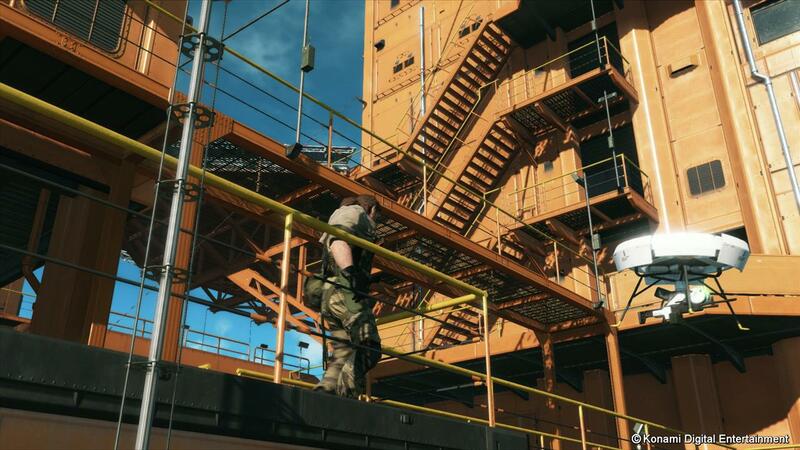 Sneaking in to the facility, we saw more of the Reflex system introduced in Ground Zeroes, that allows you to quickly react to being spotted. 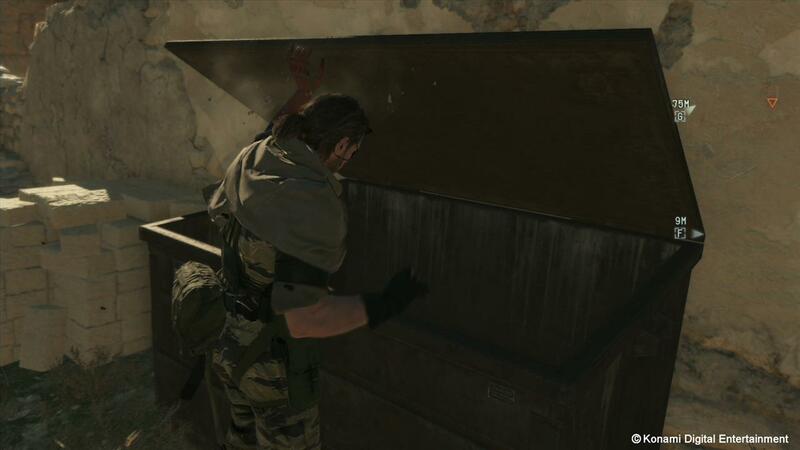 We also saw some more of the hiding elements where Snake can lie in wait in objects like dumpsters, and grab enemies as they walk on by. Upon finding his target, our demonstrator grabbed the needed info, and was all set for an extraction, but not before being spotted. 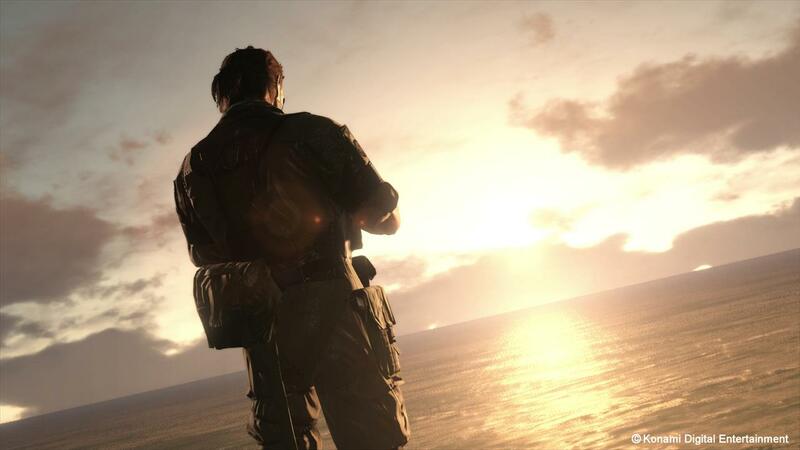 In order to make things a little bit easier, he called down an airstrike from Mother Base, which wiped out a good chunk of the remaining forces, and allowed for him to make a quick escape via a jeep that was sitting in the road. 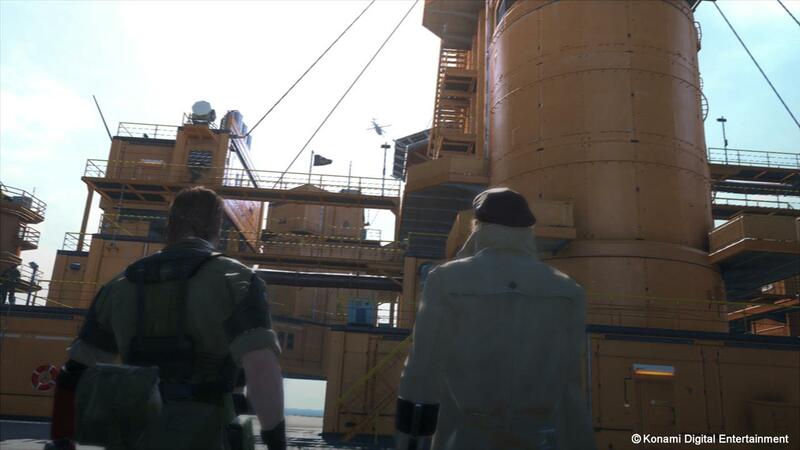 After riding back to Mother Base, we got a quick look at the facility. 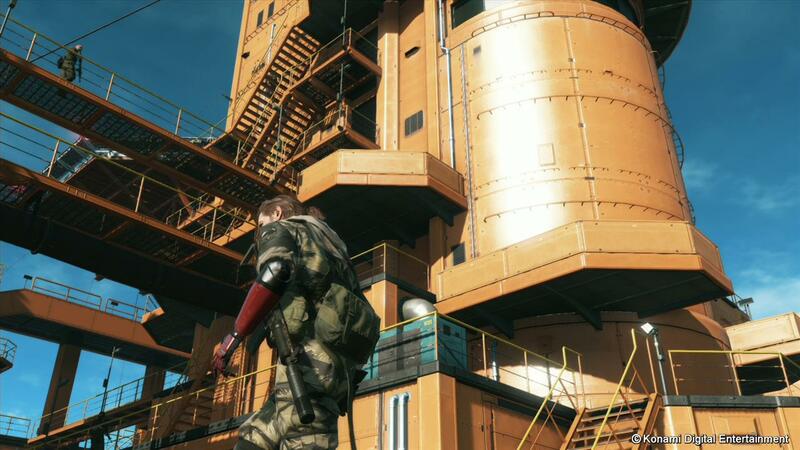 Every Mother Base will be different depending on how you choose to build it. 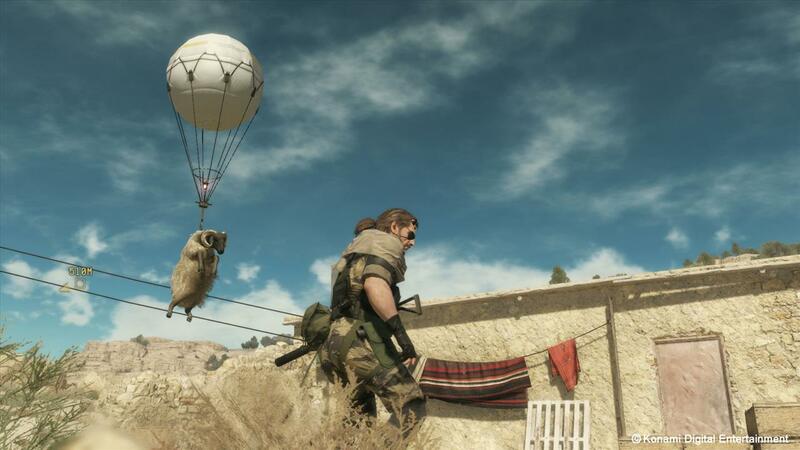 We also found that the sheep picked up via the Fulton system earlier in the demo was present on Mother Base, what purpose he'll serve from there is unknown at this point but I'd imagine he'd go toward the monetary system as supplies. 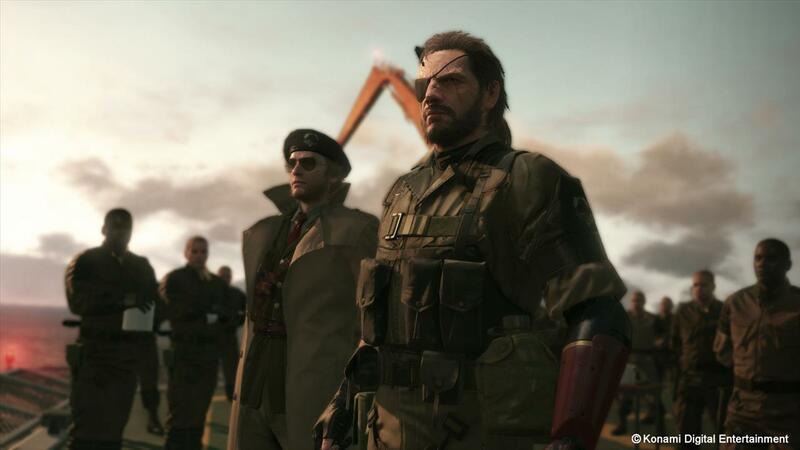 While on the base, soldiers saluted Snake, they were training, which you can participate in, and it felt like there was a life to Mother Base. 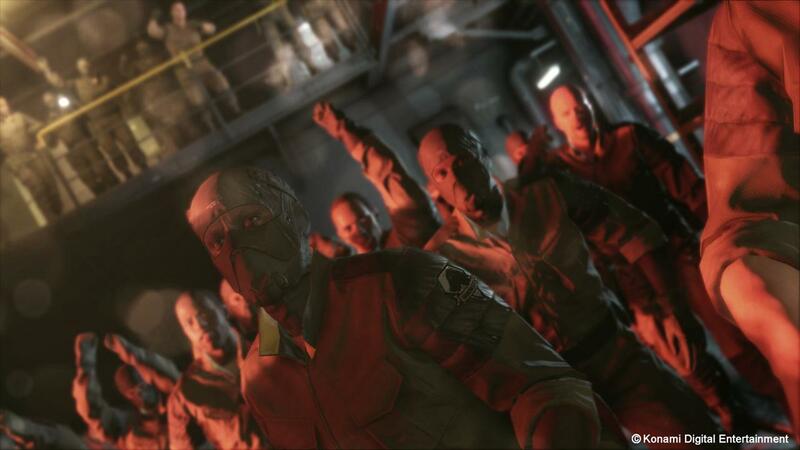 Our demo closed with an impending attack on Mother Base, which means you'll be defending it, sometime in 2015.